Description: Part one of a two-part series on drawing and painting with watercolor pencils. 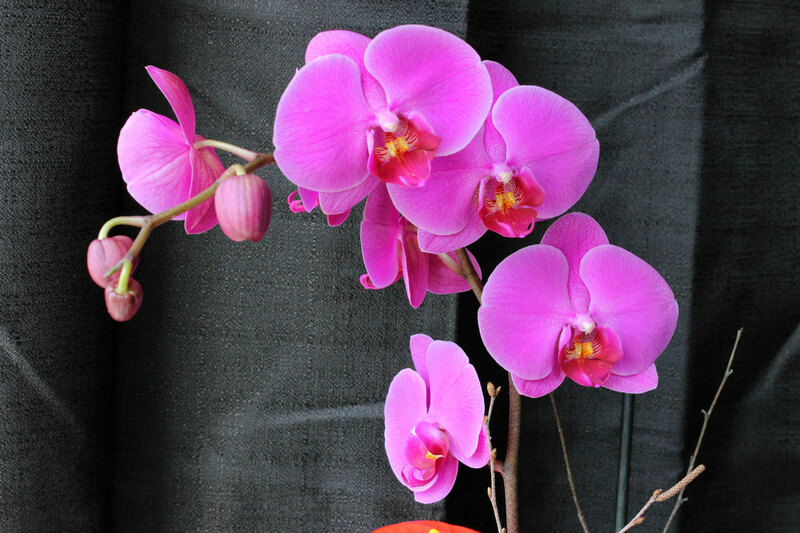 In this module, we look at the characteristics of watercolor pencils and begin a painting of an orchid. Suggested Materials: 140 lb. Cold press watercolor paper, watercolor paints (Yellow Ochre, Gamboge Hue), paper towel, nylon brushes, watercolor pencils, liquid masking fluid, masking tape. *Cotman tube watercolors and Derwent Watercolor Pencils are used. why cant I get videos? The videos appear to be playing normally. What issue are having? Are you seeing the video embed above? Make sure that the sound on your computer or device is turned up first. You can also scroll over the video with your mouse and turn up the volume on the player. You’ll see several small bars in the lower right corner of the player. These should be filled with color. You can click on the bars or scroll your mouse and drag over them to turn the sound up. I don’t understand the download options. Please clarify for me so I may be able to download correctly. Thank you. You may download a SD (standard definition) or HD (high definition) version of the video. Each file is the same video, just a different file size and quality. High definition has the best quality, but the file size is larger. I am unable to download/view the ebook – it says PDC format is invalid? i started doing a watercolor pencil drawing on youtube with you. It said to get the complete version I could get these modules. Now that I bought it I cant find the landscape drawing?? It has a barn in it with numerous trees in the background. How do i find it? not sure if you are still monitoring this module…I used windsor & newton masking fluid on 100 lb cold press paper. the paper tore a bit & my very carefully done drawing of the orchid disappeared with the masking removal! don’t recall that happening when I did your simple scene of birch trees in the snow (which came out great, thank you!) is the paper the problem? I am going to redraw & ignore the worn spot. It may be. 100 lb. paper is still fairly thin. I would suggest using at least 140 lb. papers. Awesome book! I’m liking the books much more than the videos… I will probably watch them later, but I’ve found that if I can read something, I can make sense of it. Not always possible with a video. i am having difficulty removing the film.. it actually tears my paper.. i am using winsor newton colorless art masking fluid.. should i be using something else? It may be the liquid masking fluid or the paper. I suggest trying Grumbacher’s Miskit. It is a fluid frisket and I’ve never had a problem with it. Also, be sure that the paper you’re working on is at least 140 lb. I hope this helps.